Banele Mthenjane (prop), Adrian Alberts (lock) and Celimpilo Gumede (No 8) will add valuable experience to the SA Schools team for the Aon U18 International Series next month after being named in the 30-man squad for the second successive season. The annual tournament, which features three round of matches between the SA Schools team, England, Wales and France will be hosted at three Western Cape high schools, Boland Landbou, Stellenberg and SACS, from 10 to 18 August. The SA Schools team – which is sponsored by Coca-Cola and coached by Sean Erasmus – features 13 players who battled it out in the final match of the U18 Coca-Cola Craven Week between DHL Western Province and the Sharks in Paarl last Saturday. Erasmus’ charges will assemble at the Stellenbosch Academy of Sport on Sunday, 5 August, to begin their preparations for the series. The captain will be announced once the coaching staff have had a chance to work with the players. “All of the players performed well in the U18 Coca-Cola Craven Week, and they showed that they can play an exciting brand of rugby. I was particularly impressed with the resilience and character they showed during the week and I am very excited to work with them. England and France will get the tournament underway at Boland Landbou in Paarl on Friday, 10 August, with the SA Schools team meeting Wales in their opening game. 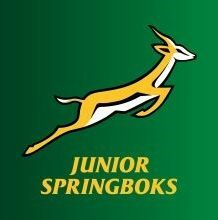 The SA Schools team will meet France in the second round at Stellenberg in Durbanville on Tuesday, 14 August, with Wales taking on England, while the tournament concludes at SACS in Newlands on Saturday, 18 August, with the SA Schools team battling it out with England, and France meeting Wales.